I am here to talk about a pressing issue which has been growing by the day, and we in our busy lives had no time to even notice it. When you were in school how often did you hear about depression or any other mental illness for that matter? Gone are days when mental disorders were a rare thing. More people are becoming victims of depression and anxiety, and you can blame it all on technology. According to the National Institute of Mental Health, 5% of the world’s population suffers from depression. That’s a whopping 350 million people. If you date back twenty years from today the number of people suffering from depression would be not more than 0.5%. 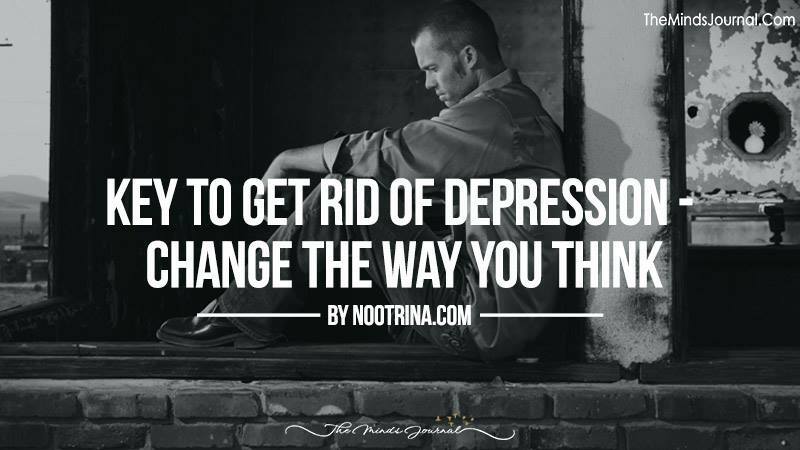 To begin with, the reason for the increase in depression is the gradual change in the thought process of the people. In fact, research shows that depression begins with negative thinking. It ‘s okay to have negative thoughts when you have a setback, but the problem starts when your whole thinking pattern becomes negative. You fail to see the good and start picking out the negatives in each and everything. This habit becomes a way of life, and that’s when depression creeps in. Depression is seen as a major threat today because it has the power to deteriorate our entire life. Its old news that our thoughts reflect our actions. So having depressive thoughts will automatically have an impact on our daily lives. The increase in the rate of suicide is also strongly connected with depression. As I already mentioned, the root cause of depression is negative thinking. To treat depression, you have to get started by getting to the root of the issue, which is your thinking pattern. Nootrina.com, has an infographic highlighting how technology fuels anxiety which can lead to depression. Positive thinking cannot be taught in a day. It takes time and effort, but one fine day it will eventually pay off. The first step is to transform every single negative thought into a positive one. For example, let’s say that you have recently lost your job. The first negative thought which will hit you is that getting a job is extremely difficult. Get started on this very thought. Start thinking that getting a job is very easy because you have the right skill set and experience. Transforming each and every thought from negative to positive is going to take time. There might come a time where you will get tired of this routine, that is exactly when you have to motivate yourself. The best way to motivate yourself is to maintain a victory journal. Every positive thought you have will lead to some difference in your life and also give you small victories. Log them into a victory journal and review it whenever you feel down. You can also write down your positive qualities. When you are caught in depression, your mind gets comfortable with the negative thinking pattern. It blocks you from seeing any good quality you possess. In other words, there is a mental block which you will have to break. When you write down all the positive qualities you have in you, the mind gets triggered to focus on those positive aspects. You will slowly begin to act on them and nurture those positive traits. Depression pushes you into a state of illusion where you begin to believe all those negative thoughts. Let’s get back to the job example, when you think it is difficult to find a job, your subconscious mind creates situations that make it tough to find a job and you start pursuing jobs which are hard to get. There may be companies having 10 open positions, but you might be looking at companies which have only one opening which requires more experience. At Nootrina we guide you through the right usage of brain supplements. To improvising the physical and mental health for an optimal state of well-being.